We’re solicitors and conveyancers who are experts in conveyance and property law. If you’re buying or selling anywhere in Queensland, our friendly team are on-hand to make sure things go to plan. If you’re buying a house or land, our standard conveyancing fee is just $809.62. If you’re selling a house or land, our standard conveyancing fee is just $452.75. We’re a full-service legal firm and can help with all your legal matters. Many people find conveyancing stressful, but it doesn’t have to be. At Brisbane Conveyancing, we aim to make your property sale or purchase a simple, stress-free and positive experience. Our energetic, friendly team of Conveyancing Solicitors in Brisbane will dot the i’s and cross the t’s so you can buy or sell your property with complete peace of mind. Our budget-friendly conveyancing offers a high quality of customer service with every legal checkbox conscientiously ticked. Our conveyancing services in Queensland are second-to-none when it comes to professionalism and value for money. We make a complicated process clear, straightforward and easy for you. Our process is friendly, affordable, simple to follow, transparent, and stress-free. We go above and beyond to keep you well-informed and provide thorough helpful advice. Our qualified Solicitors are experts in Queensland property law with an abundance of experience in residential and commercial property transactions in Queensland. Our thorough knowledge and meticulous attention to detail take the risk out of purchasing or selling property. Buying or selling a property is a huge commitment legally, financially and emotionally. Before you sign any contracts, it’s important to seek legal advice from a Solicitor with expertise in Queensland conveyancing and property law. 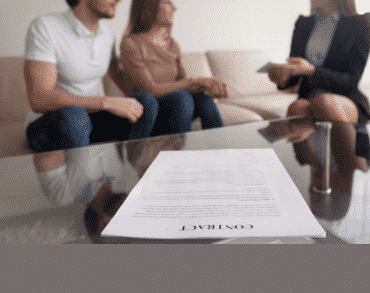 Asking one of our expert conveyancing lawyers to review your contract before you sign can reduce your stress and limit a lot of headaches down the track. Our Conveyancers and Solicitors will help you avoid any potential legal pitfalls that may occur when buying property. As your Conveyancing Solicitor, we will act in your best interests throughout the buying process and ensure all that is necessary is done to allow the property to be legally transferred into your name. If you are obtaining finance for your purchase, we will work together with your bank to ensure that Settlement can go ahead as planned on the Settlement Date. Provide peace of mind by reviewing your contract of sale: We can review your draft contract prior to you signing to advise you on the terms and any adverse terms and conditions present in the contract. Help you manage time limits: We will keep you informed on key due dates and provide you with reminders on the day that the conditions of the contract become due. In relation to Settlement progress, we will provide you with regular updates so you know what to expect and when to expect it. Perform Title searches on your behalf: We will provide you with copies of initial searches, undertake searches for Settlement, and undertake the pre-Settlement Title check to ensure that no changes have been made to the Title from the time that you entered into the contract to the Settlement Date. Assist First Home Buyers: We will provide you with legal advice on whether you clarify for a concession on your stamp duty. If you do, we will draft your first home transfer duty concession forms. We are self-assessors for stamp duty so we will assess your concession in-house. Prepare you for Settlement: If the contract goes unconditional, we will prepare the Transfer Documents, prepare the Settlement figures, and supply copies of signed documents to your financier if they request these from us. If you do not have a financier, we will provide an estimate of funds required for Settlement. As we have a trust account, we can receive your Settlement funds into our trust account and draw bank/trust cheques for Settlement on your behalf. Alternatively, we will liaise with you to bring the relevant cheques into our office prior to Settlement. We are conveniently located close to the major banks in the CBD and close to the train station so it is easy to visit our office if that is your preference. Assist with the completion of Settlement: We will attend Settlement of your matter personally if completion is due to occur in the Brisbane CBD. If your settlement is occurring regionally, we will arrange for a Settlement Agent to attend on our behalf. Once Settlement has been effected, we will notify the Real Estate Agent and authorise them to release the keys to you. If cheques are received at Settlement for outstanding bills, we will send these to the necessary authority, so everything will be up to date when you move in. Ensure transfer of ownership proceeds smoothly: If you do not have a financier, we will attend the Titles Registry to lodge the Transfer Documents, which will transfer the legal ownership to you. If you have a financier, they will lodge the Transfer Documents along with their mortgage at the Titles Registry. Liaise with the Body Corporate: If you are purchasing within a community management scheme, for example, a unit or townhouse, we will notify the Body Corporate of the change of ownership to amend the body corporate roll. You’ve found the perfect home or investment and you’re probably keen to finalise the purchase as smoothly as possible. Buying a property can be expensive and we know you’d prefer to spend money on your new house, rather than on legal fees. Our friendly team of conveyancing solicitors in Brisbane provide professional services at a budget-friendly price so that you can confidently move toward Settlement knowing that a qualified team of Solicitors are assisting you. Review your contract of sale: We can review your draft contract, prior to you signing, to advise you on the terms and any adverse terms and conditions present in the contract. Advise you due dates: If the Buyer is satisfied with the conditions of the contract, we will apprise you on key due dates. If we do not receive notice from the Buyer on the due date of a condition, we will advise you of your legal rights under the terms of the contract. Prepare you for Settlement: If the contract goes unconditional, we will send the Transfer Documents to you for execution, including instructions on how to execute. If you are overseas, we will advise you of the additional execution requirements. We will ask the Buyer for copies of their search results, prepare the Settlement figures, liaise with your outgoing mortgagee to book in Settlement and ask them for the payout figure on the loan. Assist with the completion of Settlement: We will liaise with the Real Estate Agent to ensure the deposit has been paid and ascertain if any commission is required to be paid at Settlement. We will attend the Settlement if completion is due to occur in the Brisbane CBD. If your Settlement is occurring regionally, we will arrange for a Settlement Agent to attend. We will notify your Real Estate Agent that the Settlement has been effected and authorise the balance of the deposit to be refunded to you after the Agent’s commission has been deducted. Manage sales proceeds received at Settlement: If cheques are received at Settlement for the sales proceeds, we will bank these into your nominated account as a matter of priority. You’ve found a Buyer for your home or investment property. The next step is to organise and finalise the property sale from a legal standpoint. Our team of qualified Brisbane real estate lawyers have extensive knowledge and experience in Queensland property law. Our proven process helps to minimise the risk of Settlement delays. 1. What is property conveyance? Property conveyance is the process of legally transferring ownership of a legal title of real estate (property) from one person to another. 2. I’ve never bought a house before. I don’t know what I’m doing. Can you help me? Don’t panic! Please give us a call. Our team are the best conveyancing lawyers Brisbane has to offer and they’ll guide you in the right direction. Very few people are experts in conveyancing so no question is silly. Ask away! 3. What makes a good property conveyancer? We believe the hallmark of a good property conveyancer is clear, transparent communication. A good conveyancing solicitor will be conscientious, patient and resolve all of your questions and concerns quickly, making sure that you are kept well informed of progress. As part of a positive and professional service dedicated to client satisfaction, they will provide thorough, helpful advice based on a strong knowledge of local property law and processes. Our team of the best conveyancing solicitors Brisbane has to offer, have an in-depth understanding of the property laws relevant to Queensland, plus decades of collective experience delivering high-quality conveyancing in Brisbane and across Queensland. 4. How long does the conveyancing process take? The due dates under the contract you sign will stipulate the timeframes. Typically, Settlement occurs 30 days after the contract is signed. 5. How much does conveyancing cost in QLD? Do you provide a fixed price quote? QLD conveyancing fees can vary widely. At Brisbane Conveyancing, we stand against hidden costs. We offer a standardised service, rather than a fixed price quote, to help our clients save money. Why? Since the vast majority of residential property transactions proceed smoothly once the necessary legal checks have been conducted, there’s no reason you should pay for extra services you simply don’t need. Fixed price conveyancing is often priced higher to accommodate for extra costs incurred in the advent of a delay to the purchase or sale of your property. Our high-quality, standard conveyancing package makes the assumption that everything with your purchase or sale will happen seamlessly without delays — without scrimping on quality of service. We’ve perfected our processes so our work is smooth and effective. Our standard package is ideal for most clients who are undertaking the relatively straightforward process of purchasing or selling a residential property, as these cases do not often encounter delays. In short, this makes our service more affordable for you, since you only pay for exactly what you need. Our affordable fees are just one way you’ll benefit from our expertise and efficiency. In exceptional circumstances, you may need to request extensions to the due dates or something unforeseen may arise. If this occurs, we may charge you additional fees for the extra work we need to undertake to complete the property transfer. However, these fees are not extortionate. They are fairly priced for the additional work required. Finally, if you find you need more than our standard conveyancing package, you can easily add on services and make it more customised. Simply get in touch with our team to arrange a service tailored to your needs. 6. Do you offer conveyancing services across Queensland? Yes, we help people from all over Queensland with conveyancing. 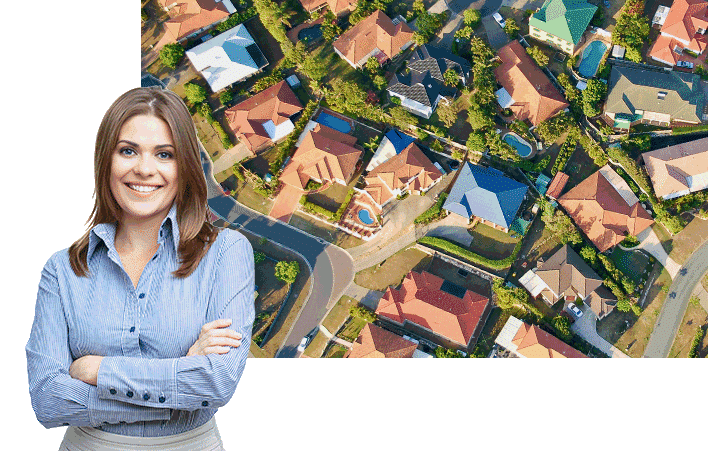 We offer property conveyancing in Brisbane and across Queensland, including the Gold Coast, the Sunshine Coast, Toowoomba, northern, central and rural Queensland. 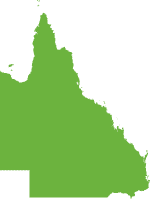 No matter where you are buying or selling within the Sunshine State, our processes are designed to work just as well for our clients in regional Queensland as they do for people based in Brisbane. At Brisbane Conveyancing, our expertise and commitment to customer service make conveyancing in Queensland easy and stress-free. Due to our location in central Brisbane, we can go above and beyond with a wealth of useful contacts. However, please note that the cost of property Title searches for Rates and Water may differ throughout different locations across the state. If your Settlement is due to be effected rurally, we will need to engage a Settlement Agent to act on our behalf at Settlement. 7. My Real Estate Agent has recommended a local suburban conveyancer. Should I use them? It is a common misconception that you need to use a solicitor located in the suburb that you are purchasing in. Whom you engage to act on your behalf is completely up to you. You need to decide which conveyancing service is right for you. If the referred conveyancer has a comparable quote, we do offer a price beat guarantee, so please feel free to send this to us and we will respond with an excellent offer. 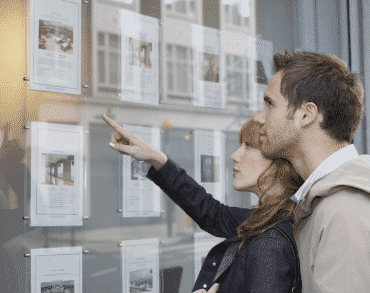 We don’t mark up our search costs, so these will be comparable whether you choose us or a local suburban conveyancer in the council in which you are buying. Bear in mind that because we specialise in property law, our process is efficient and our costs certainly reflect this. 8. 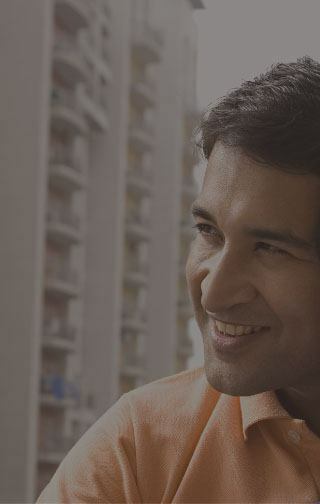 What happens if there is no Real Estate Agent? If you are purchasing or selling a property without a Real Estate Agent, we can prepare the contract for you and can act for you as the deposit holder. 9. Do you offer a commercial conveyancing service, in addition to your residential conveyancing service? Yes, we provide commercially practical and strategic advice on commercial conveyancing. If you would like to speak with one of our experts, please give us a call. While our team of Solicitors are well-versed in commercial property law, we are priced competitively compared to many other real estate lawyers in Brisbane offering commercial conveyancing services. If you are looking for a high level of expertise at a very affordable rate, we can certainly help. 10. Do I have to come into your office? It is rare that you would need to visit our office, as we will send all necessary documents to you by email or post. However, some of our clients who live or work close to the Brisbane CBD like to visit our office to meet their Solicitor/Conveyancer and deliver documents to us in person. Our central location, only five minutes from Central Station, means we are in a convenient location in the hub of the Brisbane CBD. If this is your preference, you’re welcome to visit us! 11. Are you part of the Queensland Law Society? Yes, Brisbane Conveyancing is a member of the Queensland Law Society. We are qualified Solicitors, all with current practising certificates, providing only high-quality advice in property law and fully insured. If a Paralegal is acting on your matter, they will be supervised by one of our Solicitors at all times. Our Solicitors can also advise you on legal issues beyond your conveyance if required. 12. 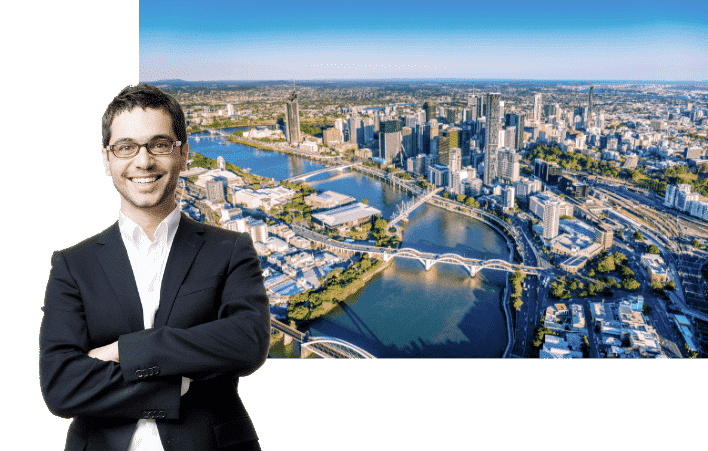 Why should I choose Brisbane Conveyancing? At Brisbane Conveyancing, we aim to make your property sale or purchase simple and stress-free. Our clients are consistently satisfied with our affordable, efficient and friendly service. What makes us different from other Conveyancing Solicitors Brisbane has to offer? We take a forward-thinking, modern approach to deliver top-quality legal services. Our budget-friendly conveyancing offers the same quality or a higher quality of customer service — with every legal checkbox conscientiously ticked — than other standard packages with a higher cost. We’re approachable and open — you’ll even find that our terms and conditions are easy to understand. Engage our team to act for you today. 13. Is Brisbane Conveyancing linked to any other law firms? Yes, we are a division of David K Lawyers, a boutique law firm in Brisbane that was established more than ten years ago. With us, you can be confident that you’ve got a team of legal experts ready to support you.